One of the things I like the most about driving techno is the projected energy onto the dancefloor and the feeling of being in the middle of something apocalyptic. For a prime example we look to none other than Driving Forces, the Austrian based Techno label from well known producer Sutter Cane. This time we come across an amazing EP from the founder himself. 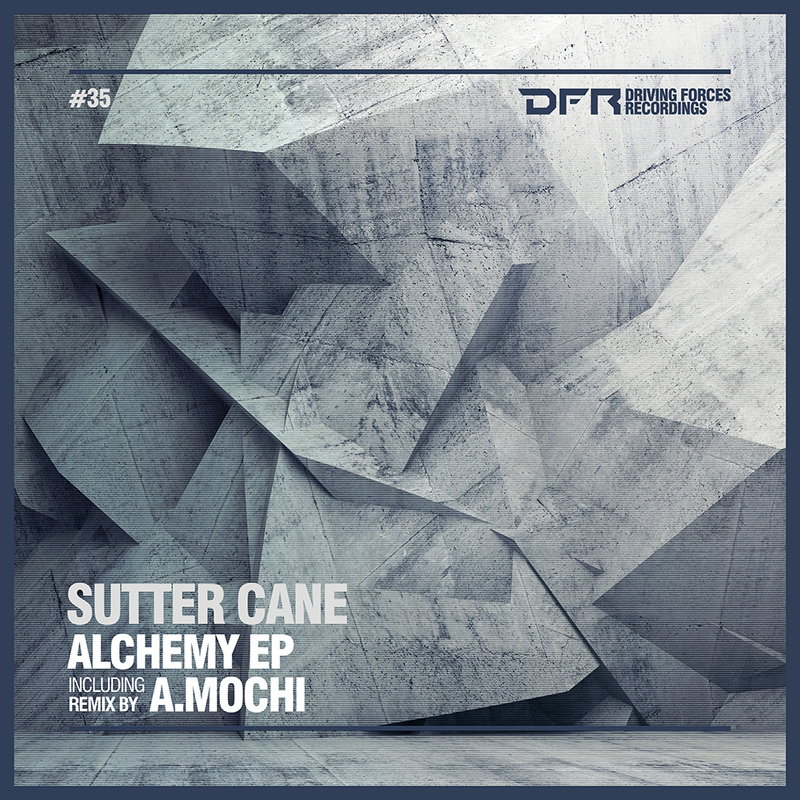 Named “Alchemy EP” it contains two high calibre tracks and includes a remix by no other than the Japanese enigma A.Mochi, a huge Tokyo based producer who adds a darker twist. The first offering called “The Alchemist” has an electric feel on the mid range that combined with a powerful, pounding kick and subtle overdriven hats, makes you move your feet right from the start. Percussive and constant semi-distorted arrangements force your mind in to a space where the bottom end starts to fade away, but just when I’m beginning to wonder how is this going to continue, a clap glued to the kick pulls my flying thoughts back to the ground where I was before. What a first track. “Transmutation” has a little more melodic touch but no less powerful at all. Keeping the pounding bottom as expected, it shows some chopped and hard worked synth rhythms that can hypnotise anyone. The arrangements work very well with a tubular percussive sound that begins to appear and disappear in the background mixing with wood sounds and cleaner hats that flow smoothly with shakers and a snare that gets in the mix from time to time. A.Mochi has a more stripped back and hypnotic approach that gives this release a good contrast. It has a thundering bottom end as he plays with intricate details on top of a delay on the tubular sound and later the addition of a bell for an even more sinister feeling. Sweeping dark pads show their face occasionally through the murky waters as the breakdown’s vocoded snare expands and builds tension before the hellish ride continues. This is an awesome package that will make any nightclub walls sweat, whilst also having a depth of quality behind it. This entry was posted on June 25, 2015 by Death Techno. It was filed under DT:Reviews and was tagged with A.Mochi, Driving Forces, DTR, Sutter Cane.